Parramatta River Sailing Club provides keelboat racing in two divisions. 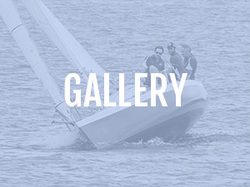 In Spring, Summer and Autumn we run spinnaker races each Saturday and in Winter we race each second Saturday. We also run a non-spinnaker twilight series during daylight saving period of the year each Wednesday evening. 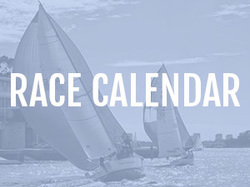 Spring, Summer and Autumn races are a mix of regular river races and harbour races. Courses for regular races take the fleet from our starting line at Looking Glass Point and extend to Putney Punt in the West to Cockatoo Island in the East. Our harbour series take one division to Shark Island and back and the other to Fort Denison and back. Our clubhouse is very well located on the tip of Looking Glass Point (end of Wharf Road Gladesville) and provides a spectacular platform for watching the racing and passing traffic and provides some amazing sunset views. 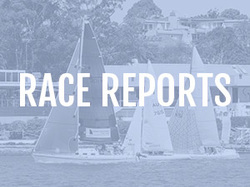 We post reports after each weekend race, you can find them on the Sailing - Race Reports tab. 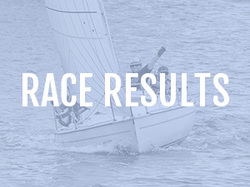 Club yachts successfully compete through the season in numerous other harbour and inter-club events. These include the Australia Day Regatta, Balmain Regatta and the West Harbour Combined Club Summer Series - the latter two organised and run by Balmain Sailing Club. Contact us on 02 9816 3916 on race days for more info. We are using Race Qs on more and more boats in the fleet!! Ask us how you can get Race Qs tracking your boat. Join our mailing list and keep up to date with all the happenings at PRSC including race reports, results, news events and anything else we feel worthwhile sharing with you... Don't worry we won't fill your inbox with spam.